This year's summit featured integration functions, enhanced management dashboards and voice-activated tech in their cloud solutions. If you haven't heard about Acumatica, then here's the brief 411. Acumatica provides enterprise resource management cloud solutions for food and beverage companies, manufacturing companies, distribution centers, and many others. These solutions offer automated financial, project and order management capabilities. Here at Exceptional Software Solutions, we’re proud to offer Acumatica Cloud ERP. The summit was jam-packed with software vendors, executives, analysts and businesses from all industry verticals. The 2019 summit was record breaking. 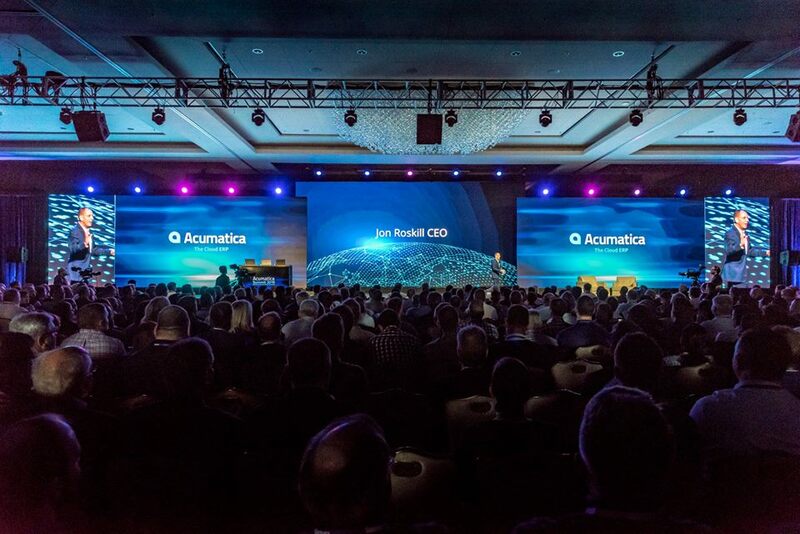 There were over 1,500 attendees ready to see demos of the new Acumatica 2019 R1 technology They were drooling to see what this cloud ERP software company was dishing out this year-- and Acumatica delivered! So, we were definitely excited to hear about the new features, company initiatives and development roadmap that would be introduced this year. In case you didn't attend the summit, here’s a glimpse of what you missed! You're a very busy person. You simply don't have the time to sit down and type information on the screen. Wouldn't it be great if you could get Alexa to do it for you? Well, that's exactly one feature in the new R1 release. 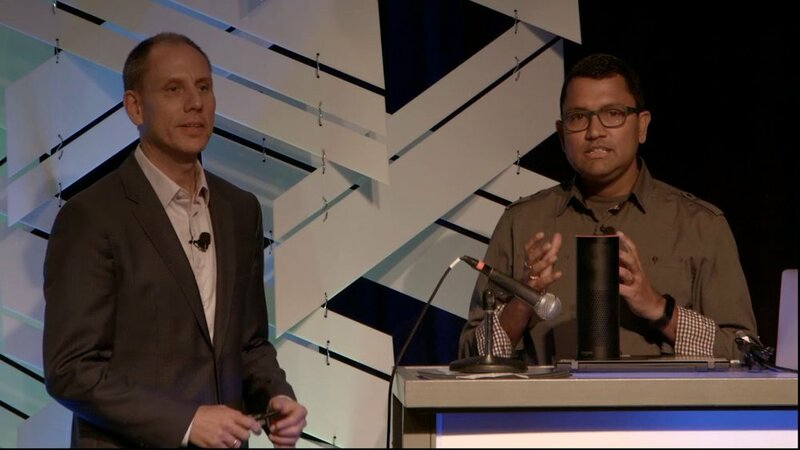 First featured in 2017, the summit further talked about the Acumatica for Alexa Business skill that provides voice-activated functions. Simply say what you want the software to do. The Natural Language input feature will look up inventory and even approve expense claims. It's just one more way that allows you to multitask and complete more work. Our minds comprehend visual cues in easier manners. We can see certain fields better in a specific color. Then we can evaluate report items related to that field when they have a matching color background. Acumatica took this concept and allowed for color coding for sales orders and inventory management. Other bonus features included in Acumatica 2019 R1 are visual appearance configurations based on company branches. This function allows employees to better see and process information from multi-branches in the company. AI is big this year in ERP software. Acumatica is taking this concept and placing it into field managers' hands. The summit featured machine learning and AI fields that can be used to look up items using the camera on your phone. 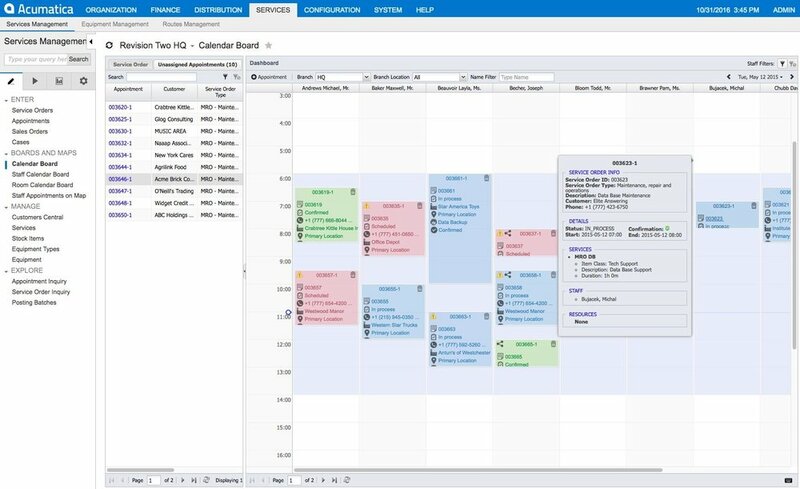 In addition, Acumatica is rolling out calendar boards and location tracking in their Field Services Management software. Global companies need global solutions when tracking their money. Don't sit there trying to figure out and manually input currencies for different companies. A financial management enhancement provides preloaded currencies. So everything will be correct and following ISO 4217 currency standards. Another great financial feature is having different start dates and fiscal year-end dates for companies that share vendors and stock items. You'll be able to create consolidated operational reports and financial statements, which is perfect when using Acumatica with companion tax software such as Alvara. There is just so many great features introduced into the new Acumatica 2019 R1 Cloud software solutions. From managing accounting for projects to using wearables for better warehouse management, companies can upgrade legacy ERP equipment to newer cloud solutions with automated functions. The Acumatica ERP summit gave us a taste of all the functionality Cloud ERP can provide. It also built up excitement for the coming 2019 R2 Cloud ERP software release that will soon be made available.